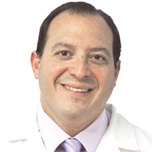 Dr. Javier Rossi is a young yet very experienced surgeon, specialist in plastic, reconstructive and cosmetic surgery and specialist in head and neck surgery in renowned hospitals in the city of Buenos Aires. 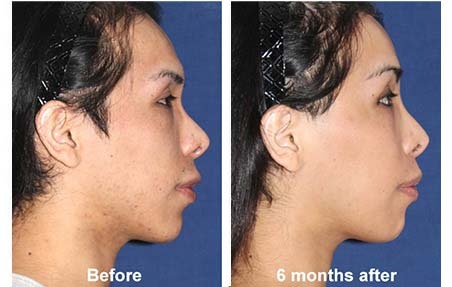 His intense experience and his ability to work with all kinds of techniques allow him to combine deep alterations of the facial skeleton with subtle cosmetic procedures in the same surgery, as it happens during facial feminization surgeries. 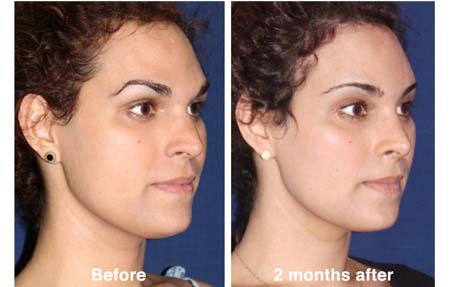 Start now a free email consultation with Dr. Rossi and get a quote for your Facial Feminization surgery. 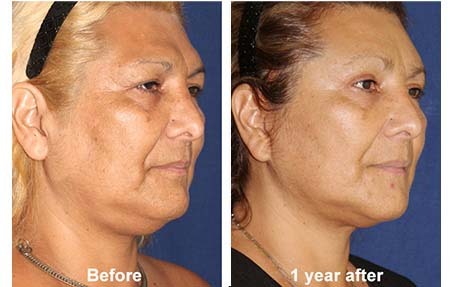 Your face will be your ally with FFS surgery. Your customized medical package will include: All Medical fees and supplies + Full hospitalization with interpreters + Land transportation with bilingual assistants from and to the airport and every appointment + A cell phone to call us 24/7 at no cost. Buenos Aires: Tango and much more! T-Change is located in Buenos Aires, Argentina, a cosmopolitan city where you will always find something interesting to do the days before your surgery or very soon after it, whether you come for Facial Feminization Surgery or any other one It is lively at any time of day and night, which attracts millions of foreign tourists every year. In 2008, the renowned reader’s poll of Travel and Leisure Magazine rated Buenos Aires in the second place among the top 10 cities of the world. The city has become a main destination for gay-and-lesbian-oriented travel agencies in the last years. We want you to feel supported, understood and protected during your Facial Feminization Surgery or other procedures, even if you have traveled far away from home. Our service is designed to cover the main needs a person might have in a foreign city before, during and after any kind of facial or body surgery. Besides covering the typical expenses and fees, the price of our medical packages includes a cell phone to call our staff 24/7 at no cost; translators in the hospital to better communicate with nurses and local transportation from and to the airport, the hotel, the surgery and every medical event, with a bilingual assistant. When brow bossing protrudes it results the most telltale of male facial areas. Most of times it must be set back through an MtF surgery called forehead reconstruction to feminize it properly. Only the best FFS surgeons can perform it. Thick orbital rims give the eyes a male look. Their feminization is achieved through grinding/burring them down (shaving). Female noses that are considered pretty are usually smaller overall. 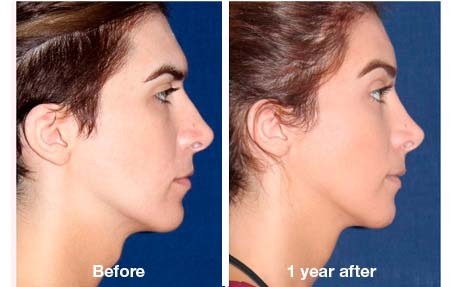 Their bridges are usually shorter, thinner and straighter, and the tips are well defined… Nose feminization surgery or Feminizing rhinoplasty gives a male nose these attributes which are crucial for facial harmony. 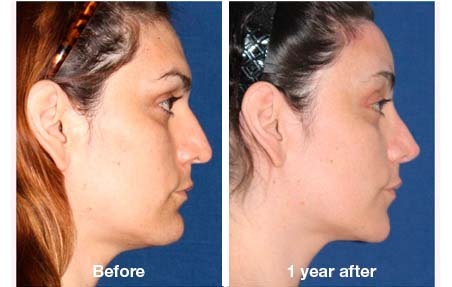 Vertical and/or horizontal reduction of the chin is usually done together with the jaw tapering surgery. A smaller, pointier chin is clearly perceived as a feminization of the facial outline. Female facial frames are narrower than male ones. 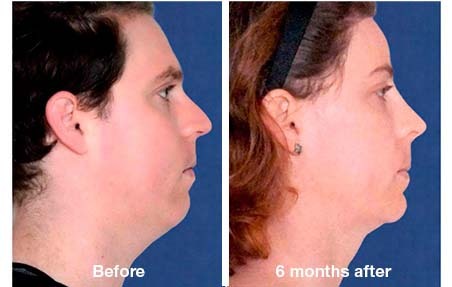 The best way to narrow a male face (and a get a consequent feminization of the whole facial outline) is reducing the jaw width, either by removing the rear angles and/or by tapering the sides. Full, high placed, well defined cheekbones are expected in female faces. If yours don’t match these characteristics, then your Facial Feminization Surgery might include cheek implants. The average distance between nose and mouth is shorter in females. This facial characteristic allows more teeth exposure and indicates youth too. The procedure that reduces the tallness of male upper lips and rolls the vermillion border out is known as upper lip lift (or lip shortening). Eyebrows contribute to make the eyes look female or male: they are more than facial indicators of moods and emotions. 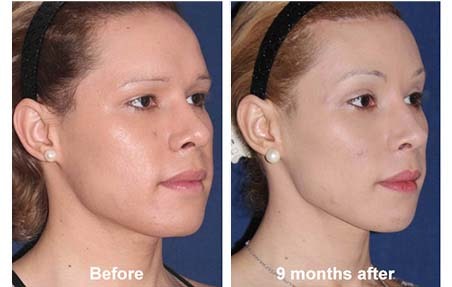 Their placement, shape and arch can get a permanent feminization through surgery. When brow bossing protrudes it results the most telltale of male facial areas. Most of times it must be set back through an MtF surgery called forehead reconstruction to feminize it properly. Only the best FFS surgeons can perform it.Thick orbital rims give the eyes a male look. Their feminization is achieved through grinding/burring them down (shaving). The information on this website is intended for general purposes only and is not intended to, nor implied to be, a substitute for professional medical advice relative to individual medical conditions or personal circumstances. This website is not a guide to treatment and does not replace seeking medical advice regarding your particular medical condition or health concerns from your physician, other healthcare professional or the professionals that work with us. You are most welcome to Contact us for a consultation focused on your individual needs. Plastic & Cosmetic Surgery Results Can Vary Significantly Between Patients. Every patient is a unique individual and every surgery has unique aspects. Therefore no surgical procedures or rejuvenation treatments will get the exact same results as others — even if patients think they are similar and even if the procedures are performed by the same Plastic Surgeon. We cannot and do not guarantee any results or the perception by the patient or others of the success achieved. All surgeries have risks, even when performed by a well trained and qualified Plastic Surgeon. Complications may and do happen and so it is important that you make your choices regarding surgery with awareness of all of your potential alternatives, as well as potential risks you’ll be consenting to take by undergoing a surgery procedure and even a non-surgical rejuvenation procedure such as injectable treatments or fillers. Scars are going to be an inevitable part of any Surgical Procedure. The art of the surgeon consists of making these scars as imperceptible as possible by making the incisions in hidden places like (only as examples and only when possible) inside the mouth, in hairy areas or along deep natural wrinkles and creases.